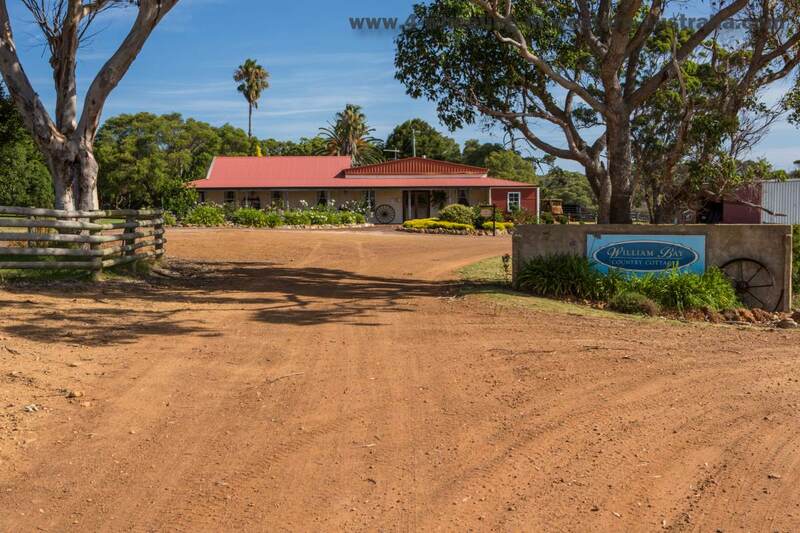 Nearest fuel: Peaceful Bay Caravan Park 2.5-4 km from either track entrance. 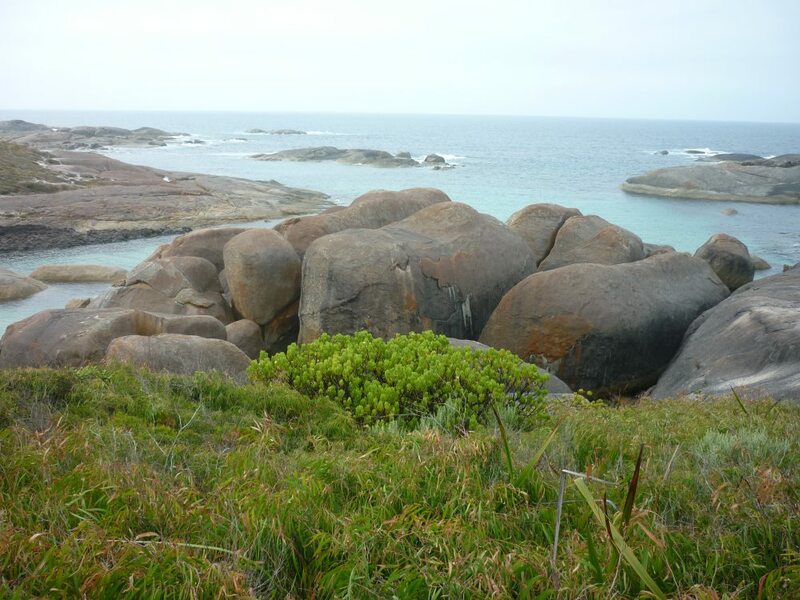 Peaceful Bay is only 50 km from Denmark and even closer at 24 km to Walpole, there is so much to do and see in this South West of W.A. so 4WD tracks are easily overlooked! This is a good thing as only locals and other serious 4wders will be using these tracks and beaches, especially during the silly seasons (school holidays). 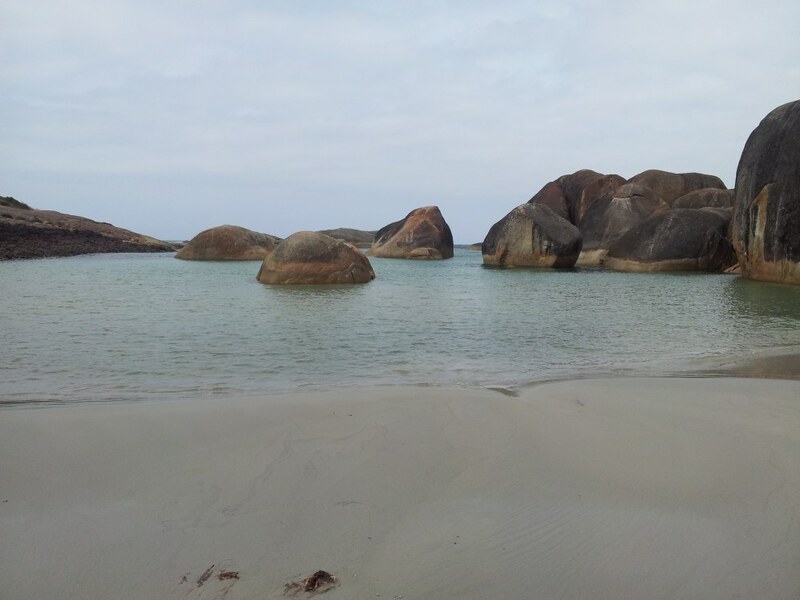 This could very well be the closest beach to Walpole WA or Denmark WA that you could have to yourself during these times. 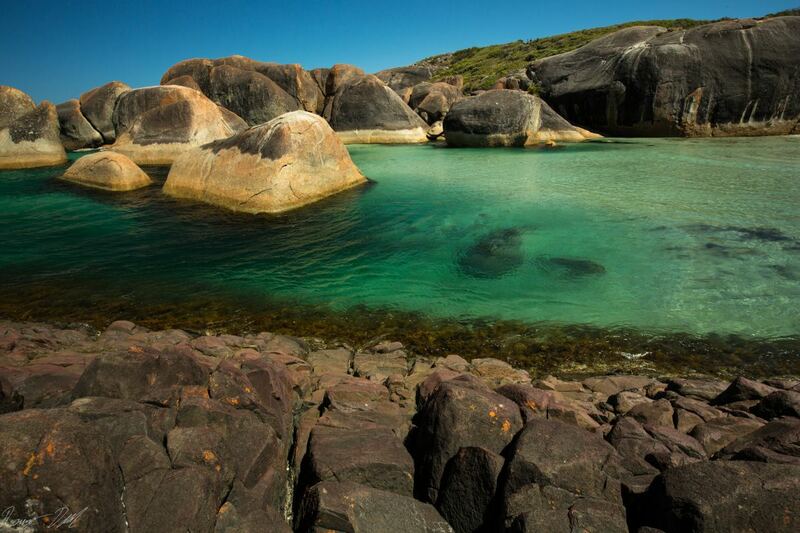 The coastline around Peaceful Bay consists of great beaches, lime stone cliffs, rocky outcrops and big boulders. Loads of great fishing spots along the way! 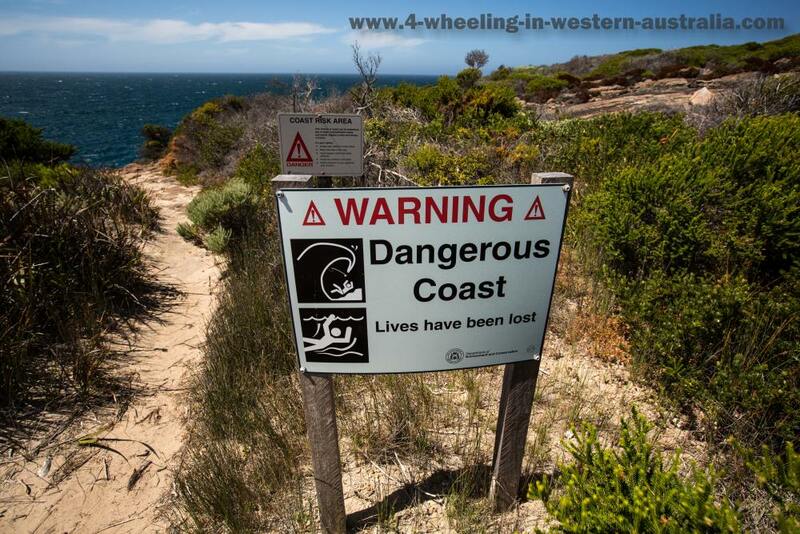 Please use caution if the swell is over 2 m, if bigger I strongly advise against fishing along the rocky cliffs, there is plenty of warning signs along the way. The tracks are straight forward and signed, getting lost here will be very hard (near impossible to get lost), getting stuck on the beach not so hard, so check the tides before venturing onto the beaches as high tide will swallow some beaches entirely! The beach at the Gap must be driven from end to end to reach the other points of interest. Once reaching the intersections of the lookout tracks (which are all dead ends) there will be signs pointing at each track, one will say Peaceful Bay 2.5 km which is the exit, this track heading out also leads to Gropper Bay. 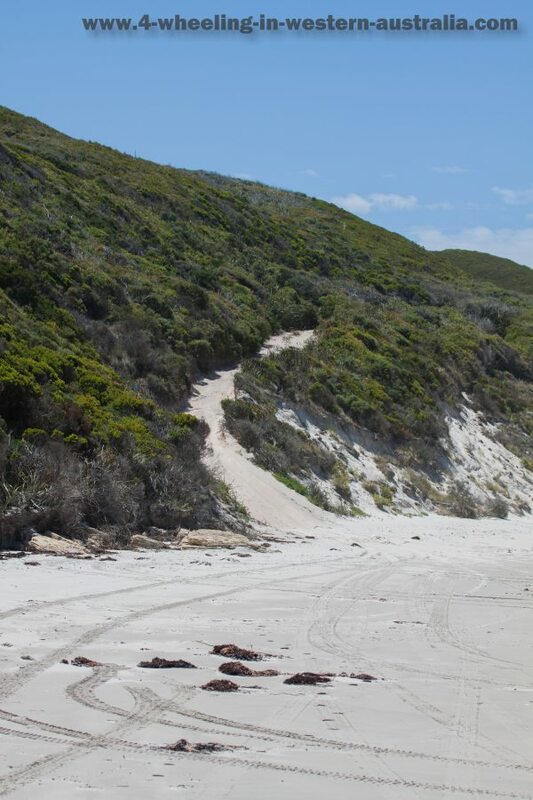 At the time of our visit the exit track to Peaceful Bay was blocked due to wind creating a 45 degree angle of soft sand which would require some track repairs. I was going to try and flatten it with the Hilux but changed my mind as traveling in just one vehicle getting stuck could mean hours of digging the ute out. Just on the other side off in the distance were fishermen so I knew it was the exit or really close to it. We turned around and got out the same way we entered. This road block will more than likely be fixed or gone in the very near future! The first stop along the way, it’s about 7 km from the start of the track. Sand tracks here are quite soft and the beach at the end of the track is soft so lower your tyres at the track information bay, this will help keep the track from being cut up. Some hill climbs have rubber mats which have been installed due to track damage, on these rubber mats 1st gear high or 2nd gear lower is more than enough to get up even the steepest of hills. Other steep hills don't have rubber mats so make sure tyre psi is lower than 18 to avoid damaging the hill climbs which will take the fun out of the track! 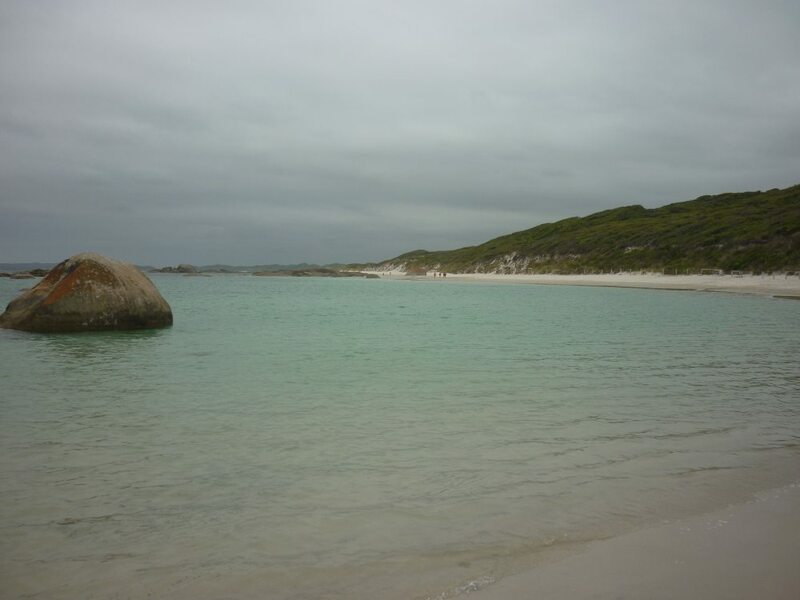 The Gap is a beach with nice clean white sand and rocky areas, more ideal for just a cool off and good for fishing, swimming and surfing is not a good idea at this beach! A small beach cut in half by rocks and reef. 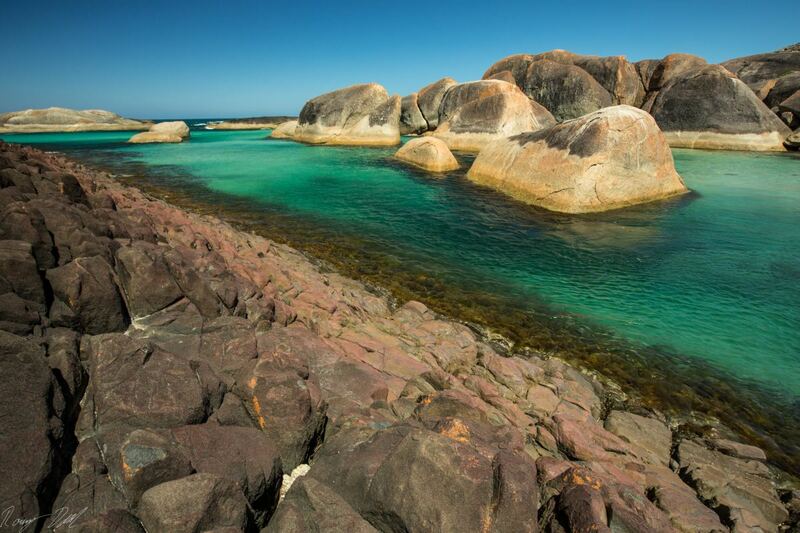 This is a fishing only beach as rocks and reef are everywhere! Kingy Rock is a massive rock shelf on the edge of the coast with the southern ocean smashing against it, really puts the power of the ocean into prospective. 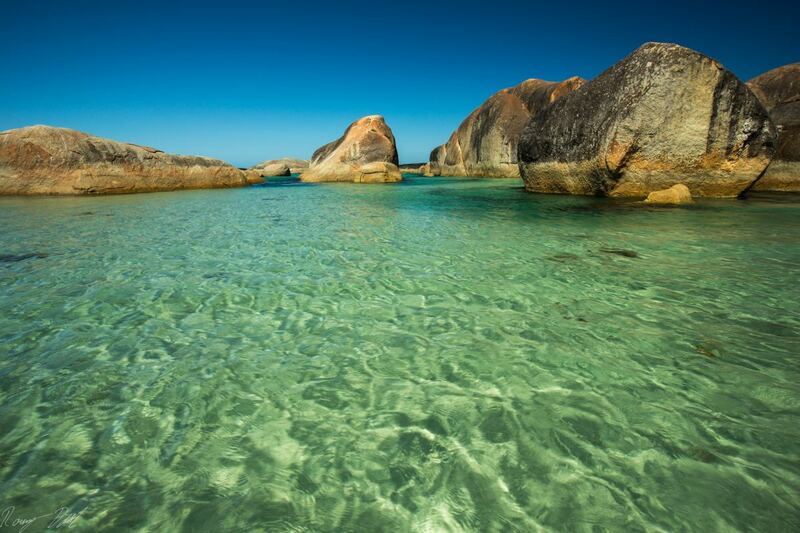 Diamond Rock is a subtle surprise (see for yourself why it's called Diamond Rock). 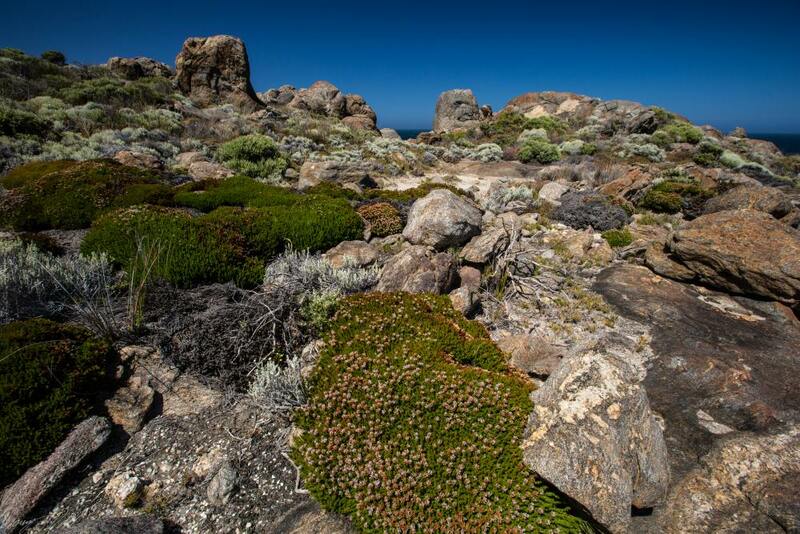 Castle Rock is a nice rock formation right on the coastline with heaps of colourful vegetation amongst the rocks to make for an interesting landscape. The main track is in very similar condition to the southern tracks with soft sand and rubber mats with the odd wooden section (wooden boards to keep the track in order). I would recommend doing the southern tracks first, I recommend this because the southern tracks are less challenging than the Rame Head tracks, and so it's leaving the best to last and makes for a bit of a build-up. Also for the less experienced 4WDer if the southern tacks were too hard then best not to attempt Rame Head. It’s just a short drive from the southern tracks to Rame Head track, so driving on the road with low tyre psi is no problem for just a few kilometres at low speed. We didn't have time enough to visit Ramp Head but we did visit the beach and tree camp grounds before it! The Beach Entrance To Rame Head Beach At Peaceful Bay. The beach and camp grounds before Rame Head. The track doesn't take long to get to the interesting sections (hill climbs and scenery). 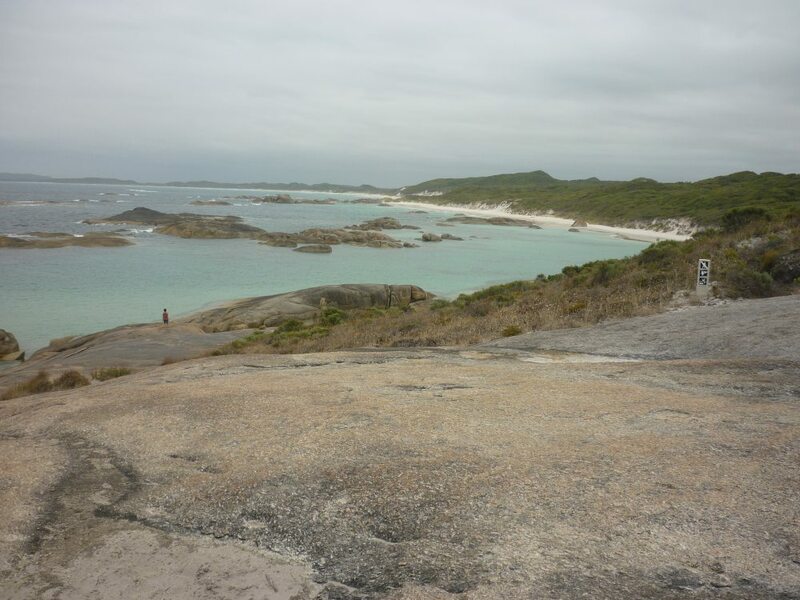 Once at the top of the lime stone/sand hills the views of the Bay are very nice, also the track snaking around down to the camp grounds is visible. Turning left at the first possible spot will take you past the three camp grounds. The camp grounds a heavily shaded by peppermint trees are there is only room for perhaps 4 cars and tents across the three sites. Going past the camp sites the track starts to rapidly descend with a near on 180 degrees turn (or three point turn it ends up being), once turned it gets even steeper and at the bottom is the beach. The beach at the bottom is simply awesome, here is good for swimming, surfing, kite surfing, snorkelling, fishing and general beaching. My young daughter had so much fun at this beach that we sacrificed the drive to Rame Head so she could have more time on the beach. Parts of the ocean had flowed right over some rocks at high tide, so when low tide came the beach behind the rocks had trapped sea water which was nice and warm. Great for younger kids! Greens Pool And Elephant Cove. 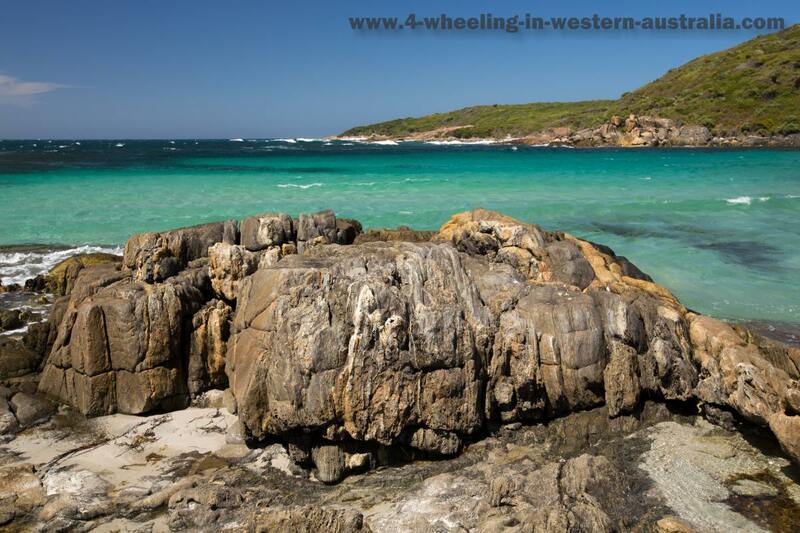 Greens Pool and Elephant Cove can be accessed by 2 wheel drive as well. 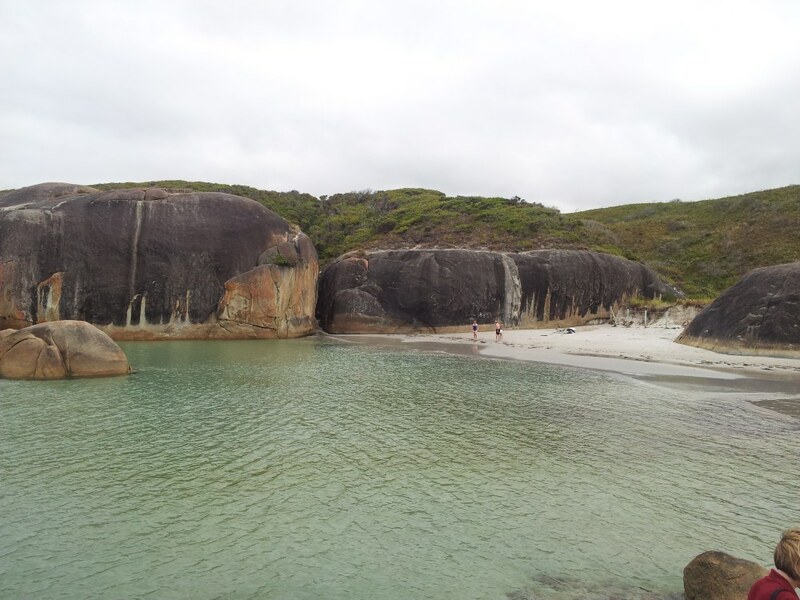 If you are staying in or around Denmark WA don’t miss the Greens Pool and The Elephant Cove. Elephant Cove near Denmark WA. 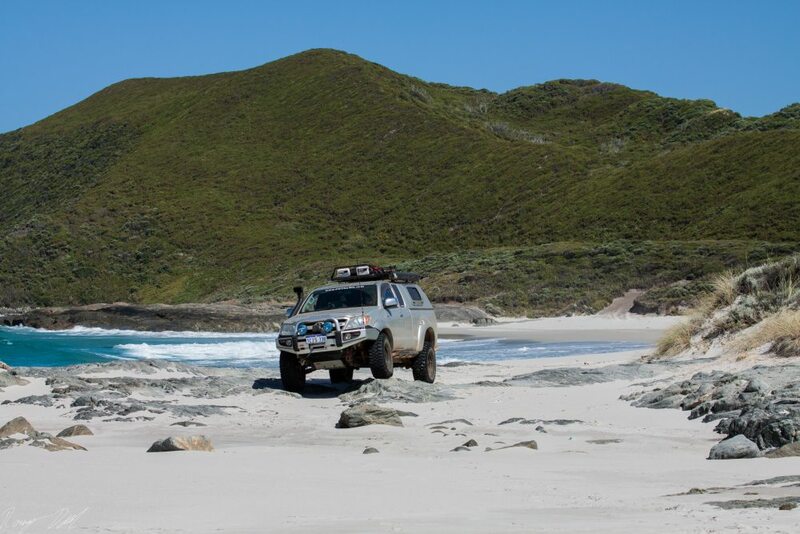 Follow South Coast Highway about 15 km west of Denmark and turn left at William Bay Road, follow it to the end. You will have the first parking bay on your right hand with access to Greens Pool, this is a very nice beach but don’t forget to visit the Elephant Cove, just take the gravel road another 200 meters and you will be in for a treat. The Elephant Cove is a beautiful spot and an excellent beach for kids and something you won’t see anywhere else, even the access to the beach is unique, so defiantly don’t give the Elephant Cove a miss if in Denmark WA. 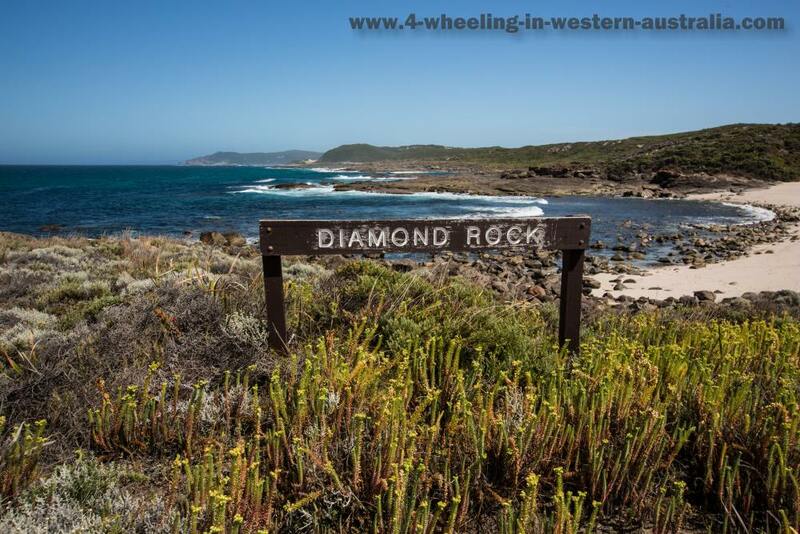 Around Denmark WA you will find a huge selection of accommodation whatever you are after a chalet, motel room or campsite. Where do I start!! There is an endless list of places to name! Denmark W.A has a population at about 5500 and do call in at the tourist information when arriving, the staff here are very helpful and can point you in the right direction. The town has quite a number of cafes and restaurants, 2 bakeries, 2 IGA’s and a lot of other shops, so you can get whatever you need in town, but do expect to pay a little more than in Perth for most things. Air compressor, shovel, sunscreen, bush hat, good foot wear, plenty of water, rated recovery gear, Surf board (other water sports), fishing gear, Sun shelter & Camera. Spring and summer, great for escaping the hotter northern W.A. For information about GPS Waypoints for this area see here. 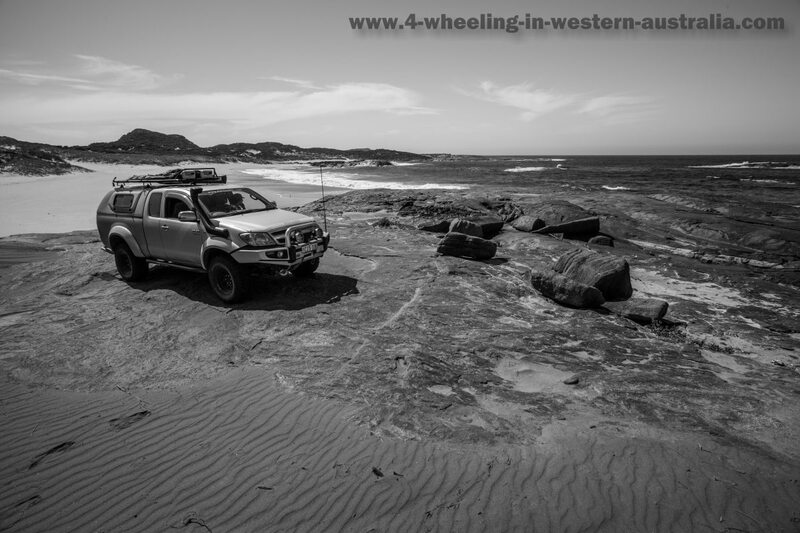 Leave Peaceful Bay And Go 4 Wheeling In Western Australia.